Living in Kent affords you the flexibility to enjoy an upscale apartment home within minutes of major employers, shopping, dining, and access to the greater Puget Sound region. Kent Valley is a friendly community in northwest Kent, near Green River and Hogan Park. Get around town easily with quick access to WA-167, I-5, and public transit options. Kent’s Sounder Train station is less than two miles east of Waters Edge Apartments. Have a worry-free commute on the Lakewood-Seattle train, as well as Sound Transit and King County Metro buses. Employees of Boeing, Alaska Airlines, SeaTac Airport, Amazon, and REI appreciate a short drive to work from Waters Edge Apartments. Kent Station’s urban shopping center is home to numerous restaurants, major retailers, and services. Get a haircut, catch the latest blockbuster, or enjoy happy hour at Duke’s Chowder House – all less than 10 minutes from your front door. Kent’s SnoWare Center is the perfect place to enjoy spectator sports or a concert. Our budget-friendly one, two, and three bedroom apartments are minutes away from family fun and recreation in Kent, WA. Enjoy year-round opportunities for play and relaxation, right in your neighborhood. The Kent Valley Ice Center provides ice skating, miniature golf, and batting cages and is a short walk from our community. Book a tee time at Riverbend Golf Complex, bike the Kent Valley Loop Trail, or spend the day playing at Hogan Park. All of this and much more is just minutes from home. A worry-free commute and weekend fun is just the beginning! 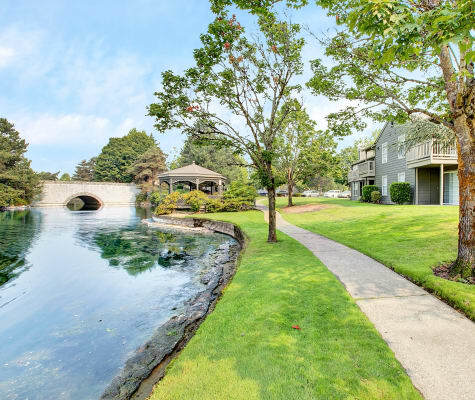 Schedule a personal tour of Waters Edge Apartments today to discover all that Kent Valley has to offer.